A group of bike-borne Youth Congress workers waved the black flags before Amit Shah's convoy outside the Netaji Subhas Chandra Bose International airport. Amit Shah held a rally in central Kolkata's Mayo Road today. 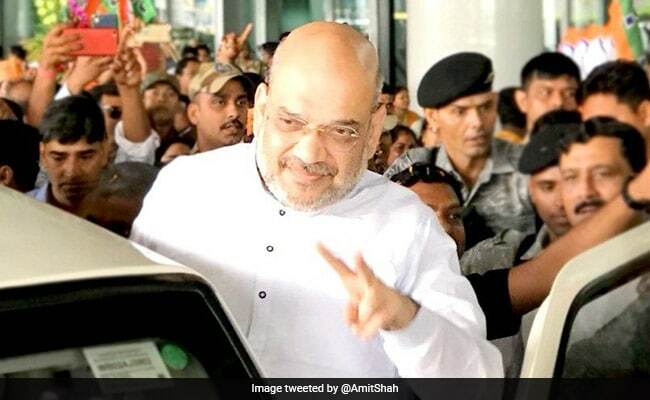 West Bengal Youth Congress workers on Saturday showed BJP President Amit Shah black flags as he stepped outside the airport in Kolkata ahead of his high-voltage rally in the city. A group of bike-borne Youth Congress workers waved the black flags before Mr Shah's convoy outside the Netaji Subhas Chandra Bose International airport and shouted slogans against him and Prime Minister Narendra Modi, before the police could remove them from the spot. Some Congress activists also claimed that there was a nexus between the BJP and West Bengal's ruling Trinamool Congress and raised slogans like "Modi-Didi bhai bhai". Ahead of Mr Shah's rally in central Kolkata's Mayo Road, Trinamool Congress supporters observed Condemnation Day in parts of the state to raise its pitch against the publication of the draft National Register of Citizens (NRC) in Assam. Reacting to the TMC protest, BJP leader and Union Minister Babul Supriyo accused Chief Minister Mamata Banerjee and her party of destroying the state's culture and the future of Bengal's youth. "Politics is fine but they (Trinamool Congress) are turning it into an ugly spat. Trinamool has further worsened the situation in Bengal in the name of ''Poriborton'' (change) from the 34 years of Left rule. 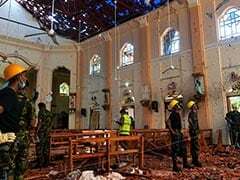 "This should not continue. The massive turnout in today's rally shows that the youth of Bengal are eagerly waiting for the message of Amit Shahji," said Mr Supriyo, who came to the city to attend Saturday's rally.